Weâ€™ve seen H&M collaborate with brands like Versace and Balmain in the past and now weâ€™re getting a look at the new Moschino x H&M collaboration. Moschino, in recent years, has been known for itâ€™s bold, out there graphic heavy pieces and eye-catching accessories. The H&M collection doesnâ€™t steer away from its brand identity one bit. With Jeremy Scott leading the way the collection features tees with Mickey and Minnie Mouse, Donald Duck and more iconic Disney characters. Last but not least, the luxe pieces do find their way into this collection with their logo accessories and killer high-heeled booties. Itâ€™s looking like this collection will be something for everyone including your pooch. 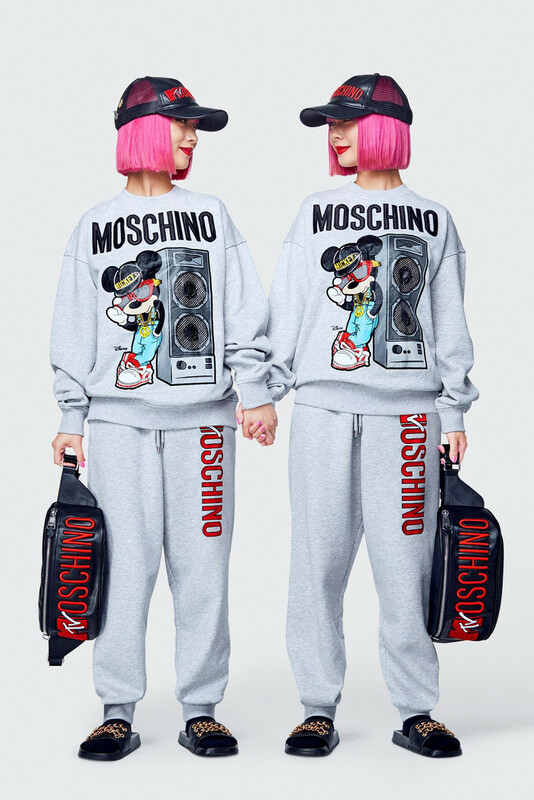 The Moschino x H&M collection will be available on November 8. We can never go wrong with a few more basics. Featuring the Air Raid and Moc sneakers. Our sole sister, Kixie Jixie, introduces us to a brand thatâ€™s empowering women through quality threads. Check out our Social Media Coordinatorâ€™s birthday wish list.